After purchasing your items from a Japanese retailer, it is not possible to cancel your order free of charge. For cancellations, please contact us directly by email. Can I buy used items? Yes, we have a license to buy and sell used items. From which Japanese shops can I order my items? You can order items from any Japanese retailer. If you cannot purchase your item by using the form on our website, please contact us directly. We will inform you regarding the way to order your item. Are there any restrictions on purchasing items? According to Japanese law, only legal items may be ordered. There is also a list of items that cannot be shipped internationally. The list of prohibited items can be found here. Please also verify the customs regulations of your country. We will not be able to provide you a refund if you break any of your country ‘s and our rules. Is it possible to order intangible items? Yes, we can order intangible items, such as passwords, game codes and digital goods, with a fee of 5% of the purchase price. Is it possible to buy an item from Yahoo Auction or another auction website? Yes, we can buy items from any auction. We have implemented a Yahoo! Auctions API so that you can bid directly from our website. You can also send us an original URL and write us a comment informing us of the highest price that you are willing to pay. Can I cancel my bid at Yahoo Auction? Sorry, there is no way how to cancel your bid. There is also not possible to refuse the payment after the winning of your Auction. It is strict rules from Yahoo Auction. Currently, you can pay for your order by credit card (via PayPal), PayPal or international bank transfer. 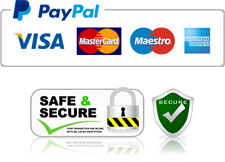 Once we receive your payment, we will send you a notice by email indicating your transaction has proceeded and that we will order your items or prepare your package for shipment. We will add more payment options soon. What is the bank deposit option? With the bank deposit option, you can add money to your account with us. The easiest way to do this is to click on the "Add Funds" button, then fill in the amount that you wish to add and choose a payment method. The bank deposit option is useful if you wish to buy an item on Yahoo! Auctions as you can react more quickly and easily while bidding. Also, it is easier to pay for items by using bank deposit. Do I need to deposit money to order a product? No, you don't need to deposit money. Add a product to your shopping cart, and we will check for availability. After that, you continue the checkout process where you will pay the exact amount of your order. Can I pay in a different currency than JPY (Japanese Yen)? We only work with Japanese yen, but you can pay by any currency used by your credit card, PayPal account or bank. The transferring bank will automatically convert the currency to JPY based on their exchange rate. The service fee is our Buyinjapan fee, which includes a fast-check of your item. We only charge a service fee of 200 yen per item! If you order the same item from the same shop, we will still only charge you 200 yen. It doesn’t matter if your item costs 1000 yen or 100,000 yen. We will always charge you the same amount – 200 yen! How much are banking fees? We also need to charge you all of the banking fees related to your order because we are only an agent for buying and shipping products. If you pay by credit card, we must charge you 3.9% + 40 yen (PayPal fee) of the total price of the transaction. How much does consolidation cost? Consolidation is free. We will consolidate your delivery items into one package. The only limitation is that the consolidated package must not exceed the weight and size limits for your country and shipping method. If it does exceed weight and size limits, we will repack your order to smaller packages for free! Usually, the limit is 30 kg. What if the delivery item was damaged or was not delivered. If your package is damaged or has not been delivered within 30 days, please contact us directly. We advise that you should not receive or sign for your delivery if you see that your package is damaged or has been opened. Afterwards, go to the post office where your item is being stored and ask the post office clerk to open it in front of you. If you see that your delivery is damaged or that any item is missing, please declare this information to your post office. Be sure that your claim has been accepted and send us a copy of your claim. We will begin the procedure to compensate for your loss with Japan Post. Is it possible for you to store my item? It is only possible for us to store an item for 60 days. Our service is not primarily focused on storage, and so our stock space is limited. You may consolidate your items for 60 days, but if you exceed that period (from 61 days), we will charge you 100 yen per day. After 120 days, we will dispose of your item. Which shipping method is the cheapest? We recommend using EMS as it is a fast and safe method. The cheapest way of sending your package is by surface mail, but this can take several months to deliver to your address. If the package is small (length + height + depth ≤ 90 cm and weight a maximum of 2 kg), then the cheapest option is the ‘small package’ option, which can be sent by airmail, the SAL method or surface mail. Is it possible to get a tracking number? Yes, you can see your tracking number in your account in the Package section. Is it possible to make my package stronger? Yes, it is possible to do so with an extra charge of a 1200 yen for the strong packaging fee. We will use a hard-pressed cardboard box with extra bubble foil and packing materials. For fragile items, we highly recommend purchasing this option. How much does insurance cost for a package? Your package will automatically be insured free of charge if you use EMS as a shipping method! Other shipment methods will have an additional charge. I would like to repack my items. Is it possible? Yes, it is possible to do so anytime, but if we have to repack it, then we will charge you a 1000 yen repacking fee. Is it possible to take pictures of my items before you ship to my address? Yes, we offer this service. We can take 3 photos for a 300 yen photo fee per item and upload them to your account. Can you send my package declared as a ‘gift’? Unfortunately, we can only send you your package declared as ‘merchandise’. This is the only option available for us to write on your invoice. What does it mean to fast-check an item? When your item comes to our warehouse, we will open your package and check if the type, colour, size or other specification is correct. Also, we will do a quick visible check to see if an item is damaged. We will not check any functions or if all parts are included. For electronic devices, we have to remove spare batteries. What is the restriction for lithium batteries in electronic devices? There are strict rules for sending your package, which include rules for batteries. Batteries must be installed on your electronic devices. If they are not, we will have to remove them. There can only be a maximum of 4 units with installed batteries or 2 units with assembled batteries in your package. If this limit is exceeded, we will need to repack your items to an additional package. Button type batteries must also be installed, but their number is unlimited. Can you check if an item is working properly? Since this is not part of the standard procedure included in our fast-check item process, please contact us directly. We can check your item more thoroughly, but because we will need to spend more time in the process, we need to charge you a checking fee (usually 3% of the price of an item). Also, if we feel that the item you ordered is too complicated for us to check, we can reject your request. Please be aware that if you are not happy with your order and want to return the product to the retailer, you will have to pay all of the extra charges required by the Japanese retailer and our service.